Oval International is registered with the Department of high Eduction as a private Institution of High Learning. 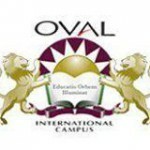 Oval International is one of South Africa's foremost independent higher education institutions, advised upon by an International Advisory Board made up of esteemed academicians from several renowned Universities on the African and Asian Continent, and corporate CEOs from business and industry. Established in 1989, Oval International has achieved an outstanding reputation in the fields of educating masses in Information Technology, Management and Economic Sciences, and Travel & Tourism Management by providing a high standard of tertiary level education. Currently celebrating its 25 years in higher education, Oval International believes in forward thinking along with a dynamic and innovative perspective, to achieve qualitative goals. Thus, since its inception, the organisation is engaged in a constant quest for meaningful ways of developing its learner population educationally, professionally and socially, and Oval has campuses in Pietermaritzburg, Durban, Johannesburg, Cape Town, Polokwane, and Thohoyandou.